If you haven’t heard of a mini-makeathon before, it essentially brings together people with different educational backgrounds, to design a new and useful product concept, based on a contemporary (consumer) problem. They typically do this in small groups and within one day’s time. 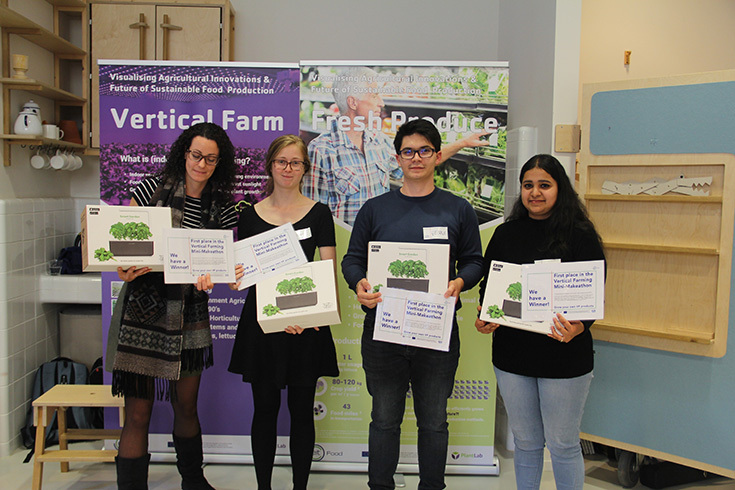 Our mini-makeathon for vertical farming was organised by the Technical University of Munich (TUM) and PlantLab as part of the Cultivating Engagement project. 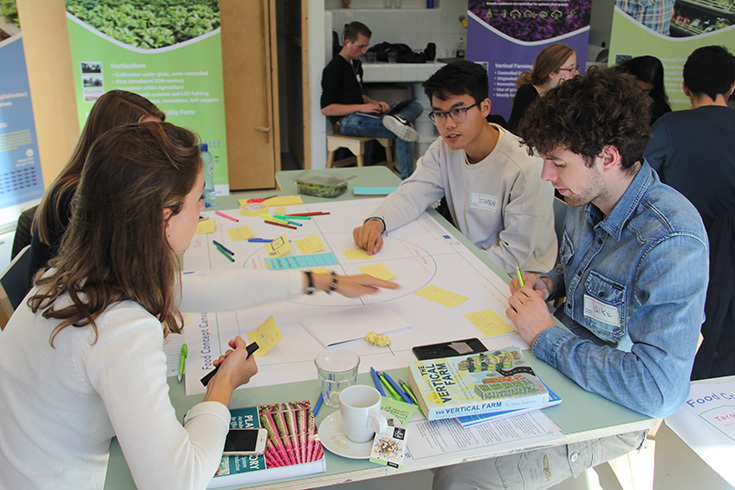 The participants worked on three different challenges related to (indoor) vertical farming. One challenge focused on the fact that it is difficult to label vertically farmed produce as organic in the market. 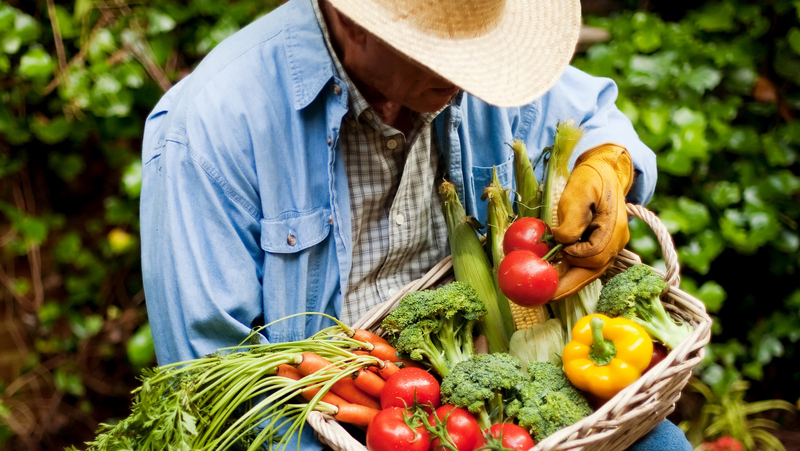 Organic produce typically has requisites specific to soil usage, however, many vertical farms do not use soil to grow their crops but hydroponics agricultural methods. So, organic certification can be difficult or impossible to obtain for vertical farms. Our vertical farming mini-makeathon was kicked-off with a presentation by the Design Museum. Mascha Gugganig (from TUM) then introduced the participants to the Cultivating Engagement project. Tessa Naus from PlantLab presented the concept of Vertical Farming, its challenges and the purpose of the mini-makeathon: to develop a new food concept around vertically farmed produce in response to one of the vertical farming’s challenges. The participants were then divided in five multidisciplinary teams, so that each team consisted at least of one person with a business background, one person with food innovation expertise and someone experienced in food technology. After getting to know each other, each team chose one of the three challenges to include in their new food concept. They were given 2,5 hours to put their minds together to conceptualise and create their concept. Coaches from EUFIC, TUM and PlantLab with expertise in communications, business innovation, marketing, food design and anthropology walked around to help the teams with any questions they had. After the lunch break, the teams had 90 minutes to finalize their product concept and to prepare their pitches. The jury consisted of Martine van Veelen from EIT Food, Joke Backx from the Design Museum, John van Gemert of PlantLab and Jan Hoskam, one of the aldermen of the municipality of ‘s-Hertogenbosch. All teams pitched their concept to the jury. They were each given five minutes to convince the jury that they should win the coveted prize: their own little (indoor) vertical farm. After a difficult jury deliberation, Jan Hoskam announced the winners: Team VertiMix would take home the prize! The concepts created by each of the teams build the base for potentially further developing ideas together with the makeathon participants. Following the award ceremony, some drinks and final thoughts were shared between the organisers and attendees. We would like to thank the Design Museum, all participants, the jury members and all partners who contributed to the Mini-Makeathon Vertical Farming. It was with your help that we are able to drive our project forward. Do you have your own food concepts for vertically farmed produce? Let us know below! 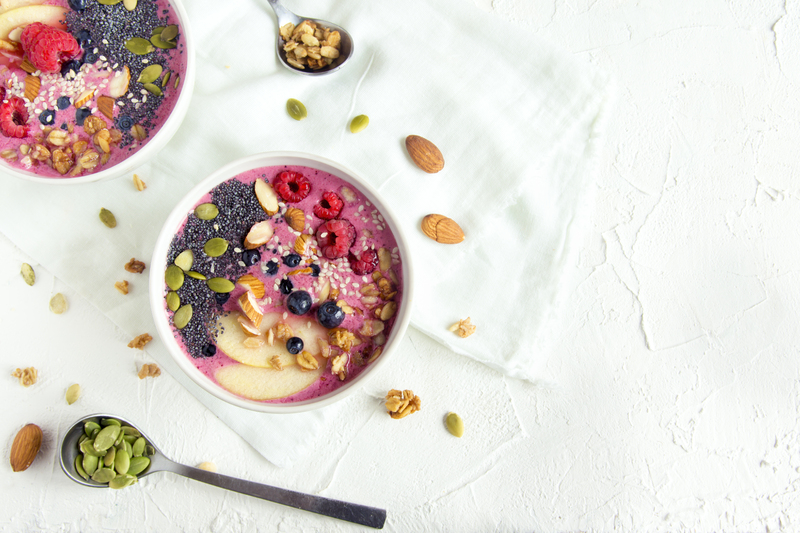 Tessa Naus recently graduated with a master’s degree in Health Food Innovation Management from Maastricht University and now works as a Business Developer at PlantLab. She started off university with a bachelor in European Public Health, where a minor abroad in Hamburg got her specifically passionate about the interaction between food, innovation and business. She looks forward to continue working with innovation that can feed the world in a healthy and sustainable way.